Captured terrorist's laptop reveals chilling plans for suicide bombings, shooting attacks and the use of drones to murder soccer fans. Chilling evidence was unearthed following the confiscation of the laptop of Salah Abdeslam, primary orchestrator of the Paris and Brussels terrorist attacks. Following Abdeslam’s capture, police discovered plans to attack football fans in Marseille where England will play Russia next month in the Euro 2016. Authorities fear that ISIS followers will execute the attacks outlined despite Abdeslam’s arrest. Plans include suicide bombings and large scale shooting attacks on the tens of thousands of fans who are expected to flock to the city for England’s opening match. Marseille’s busy Old Port, home to many of the city’s most popular bars and restaurants, was singled out as a prime target for ISIS fanatics. References were also made to the use of drones as a possible means of inflicting wide scale carnage. Marseille is France’s third largest metropolitan area, and has earned the ominous title of Europe’s most dangerous city. “Marseille is sick with its violence” lamented French Interior Minister Manual Valls. The city has a significant Muslim presence, with approximately 40% of its residents adhering to the Islamic faith. Authorities fear that fanaticism could take hold of the poverty stricken region and lead to further terrorist attacks on French soil. 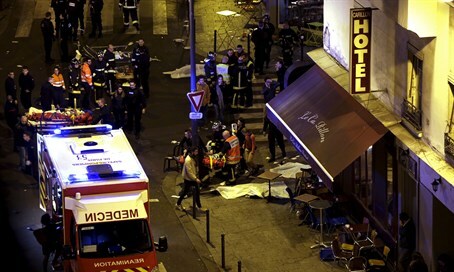 France has been on maximum security alert since November’s Paris terror attacks. Both English and Russian footballs fans would be primary targets for Islamic State supporters, as both countries have been involved in the bombing of ISIS strongholds in Iraq and Syria.